There will be flurry of diplomatic activity on the Congo in coming days. Tomorrow (Thursday), the International Contact Group for the Great Lakes Region––a conclave of important donors and diplomats––will meet in The Hague to discuss, among other things, what to do about the current political morass in Kinshasa. 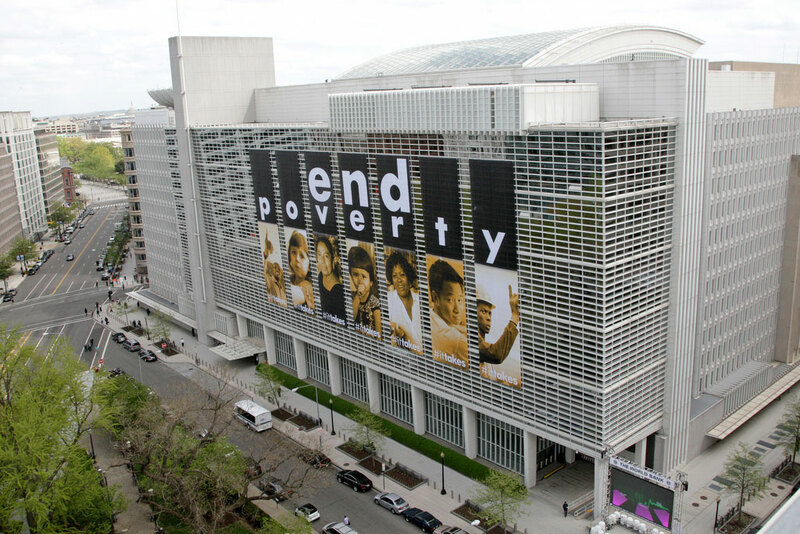 Then, over the weekend, the annual assemblies of the World Bank and the IMF will take place in Washington, DC. None of these meetings receives much press, nor are the deliberations public. But important issues are on the agenda: Should donors, including MONUSCO, back the Congolese elections despite questions regarding its transparency? Should the EU and US expand their sanctions to target members of President Kabila’s family, as called for by Human Rights Watch and other groups? And should diplomats begin backing calls, made by a host of civil society and opposition groups, for Kabila to step down at the end of December 2017 to make way for a transitional government? All important, difficult questions. But other questions are less commonly discussed, relating to the economic system––in the Congo and abroad––that influences and shapes the current crisis. Some of those questions will be more uncomfortable for western donors and financial institutions, as they suggest that the enablers of the current crisis are not just to be found in Kinshasa, but also in western capitals. Congo’s economy is tiny–only $41 billion, roughly the size of a large multinational company. The Congolese president, as well as international businesses, have considerable sway over this economy. The president approves the heads of state-owned companies and tax agencies, which generate billions of dollars in revenue, often with little oversight. The president also has the authority to approve or reject oil permits, and has retained direct control over the Inga hydropower project, worth roughly $13 billion, and the $6.2 billion China contract. Kabila exercises that same authority informally over major mining deals. International mining companies have been able to take advantage of the lack of accountability to obtain extremely profitable deals. Multinational companies have been involved in a series of suspicious mining deals that cost Congo at least $1.36 billion in potential revenues, and have given large contracts to members of the president’s family (examples include Moto Goldmines and Ivanhoe Mines, but also the World Bank and the United Nations). Research published by the Congo Research Group in July 2017, shows the Kabila family owns stakes in over 80 businesses worth many tens of millions of dollars, including in the country’s biggest telecommunications company. The lack of fiscal transparency in Congo and foreign tax havens makes it hard to fully scrutinize these dealings and detect corrupt practices. Nevertheless, recent legal documents from the U.S. Department of Justice suggest DRC officials received over $100 million in bribes from Israeli billionaire Dan Gertler in exchange for approving investments linked to the Och-Ziff hedge fund, including 11 million to a person who is almost certainly President Kabila. The UK Serious Fraud Office is investigating related deals Gertler signed with Kazakh multinational ENRC shortly before the 2011 election. In early 2017, Glencore bought Gertler out of its two Congo projects, providing him with over half a billion in cash. This lack of transparency, the concentration of power in the presidency, and the dubious nature of many of these deals have deprived the state of valuable resources. UK NGO Global Witness estimates that hundreds of millions of dollars has gone into Gécamines over the last three years with little to show for it. Meanwhile, chaired by one of the president’s most trusted advisors Albert Yuma, Gécamines only paid $36m in taxes on $515m in reported revenue in 2014 and 2015. The remaining revenues are extremely difficult to trace. Some of these investments have been made by companies listed on stock exchanges in London, Toronto, and New York. Others have been made by private or state-owned companies. Some of the biggest recent investments have been made by Chinese private and public companies (some of which are traded on major stock exchanges), who have invested billions over the past 5 years––by far the largest source of foreign direct investment in the Congo. First, the enormous cost of the elections proposed by the government should give donors pause. The projected outlay––between $800m and $1.8 billion for the entire electoral process––is more than 20% of Congo’s current annual budget. Elections are therefore the largest single budgetary line item and could be a tempting source of corruption. The CENI’s bank account records at BGFI Bank published in the “Lumumba Papers” leak show questionable transactions that do not appear to square with the purported will to advance the electoral process.The CEO of BGFI is President Kabila’s brother Selemani. This is not to say that donors and MONUSCO should not back elections––without their support, especially that of MONUSCO, elections will be difficult to organize. And one should be wary of doing anything that would provide an excuse to further delay elections. However, as the Catholic Church has said, any support should be conditional on much greater transparency from the electoral commission. Some senior foreign diplomats are beginning to wonder in private whether the registration process may already have been seriously rigged, although there is no hard evidence so far. Second, there donors should look closer to home, to hold to account companies listed on their stock exchanges and incorporated in their jurisdictions. Some of the largest multinational mining companies are implicated in questionable mining deals in the Congo––it will be crucial to pursue criminal and civil legal action where possible, but also to improve transparency in general, for example by creating a public registry of beneficial ownership. Third, and specifically for the World Bank and the IMF, any substantial financial support to the Congolese government should be conditioned on respect for the governance matrix endorsed by those institutions. That would mean greater transparency, including for some large recent deals. As the constitutional deadline for the 2016 elections approached, Gécamines engaged in a partnership for some of its most strategic assets with China Nonferrous Metal Mining (CNMC). Easily worth billions, the CNMC deals remain unpublished to date, violating Congo’s own transparency rules. In 2016, Gécamines sold its shares in the Kolwezi Tailings to ENRC (now ERG) for an undisclosed amount,and received $130 million during the shareholder change at the country’s largest mining site, Tenke Fungurume Mining. This scrutiny should also apply to the Inga III hydropower project, worth an estimated $13 billion. The ongoing tender is directly managed by the presidency and with little independent oversight. While the World Bank’s withdrawal from the project due to a lack of transparency has slowed down the tender’s conclusion, the presidency still hopes to sign an exclusive collaboration agreement with a developer before the year-end. The project could generate over a billion in annual revenues if it takes off. The Congo has recently requested a rapid credit facility address the economic slump affecting the country. The IMF has conditioned any future loan program or financial help on “a credible path to political stability” and transparency. Such pressure should be expanded to include other donors, investors, multinational companies involved in un-transparent deals and Congolese economic actors. Action that fails to tackle the economic aspects of the current crisis, both in the Congo and abroad, is unlikely to bring about a change and risks eroding the significant gains made in Congo’s peace process. Elisabeth Caesens is the founder of Resource Matters, an organization working on tackling the gap between resource wealth and economic poverty. Jason Stearns is the director of the Congo Research Group at New York University.